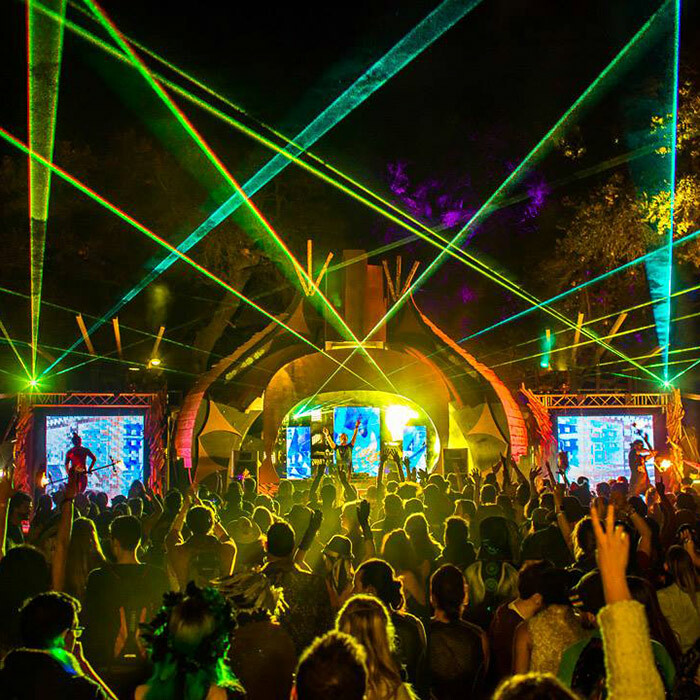 The Lucid Landing is the platform for participants to witness, dance, and commune with keynote and headliner acts. Join us for opening and closing ceremonies lead by the Council For Peace, ecstatic dances by sponsored alliances, a healthy mix of both live and electronic music meant to inspire and enliven, the Lucidity Performance for Moon’s Eye View, and the final stop of our massive puppet parade lead by the children Sunday morning. The genres and sound system have been selected to maximize and contain the collective experience on the dance floor, providing deep bass, melodic highs, and an extensive mid-range to deliver a full musical adventure. Enjoy psychedelic visuals, stunning performance, uplifting lyrics, and the largest crowds of your Lucid Family. The Lucidity Flow Zone makes a collaborative jump this year, to side stage; so participate in your favorite flow workshops during the mornings or come flow to your favorite DJs. Get your flow on with loaner equipment from our sponsors at Flowtoys and Holistic Hoop, or purchase remarkable units and upgrades.